Bonsal Construction provides construction and remodeling services to Cary, Apex, Morrisville, NC and the surrounding areas. We have established a solid reputation throughout the Triangle for efficient, clean and quality work. 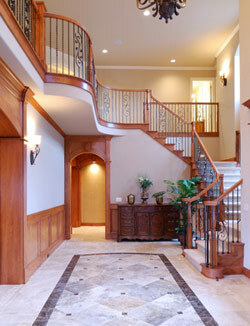 Our staff prides itself in being efficient throughout the entire process of your renovation or remodel. Attention to detail and hands on involvement are the main reasons why Dan Martin and his company, Bonsal Construction, is the best choice for your needs. Combine that with our outstanding subcontractors and you have a winning combination for your project. With Bonsal Construction, you won't ever have to worry about how your improvements will stand the test of time. For more information, please call us at 919-291-2796. Bonsal Construction provides construction and remodeling services to Cary, Apex, Morrisville, NC and the surrounding areas.